How does Theater on the Run work? 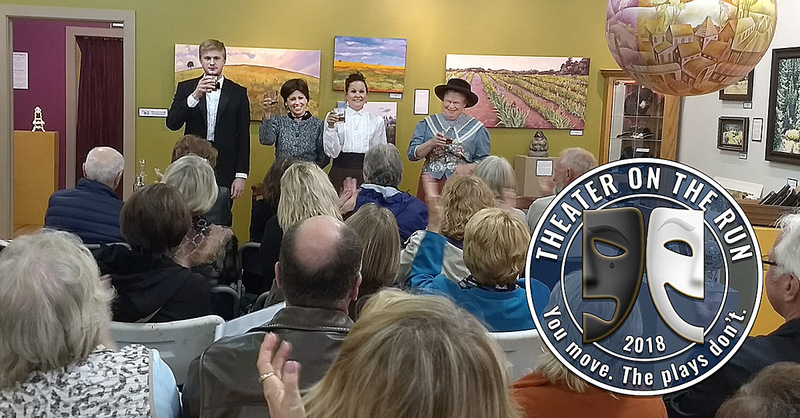 Theater on the Run begins with four different groups of theater patrons–26 people each– starting at a pre-determined different location. After each group has enjoyed a 15-20 minute play, the audience rotates to the next location to view the next production. This will continue until the grand finale, where all four groups will meet in the Matthews Opera House for the last show. Each venue will have beverages for sale, with some offering adult and some offering non-adult beverages. Venues provide appetizers in the cost of the ticket. “This progressive and fun way of going to the theater has been such a big hit the last six years. 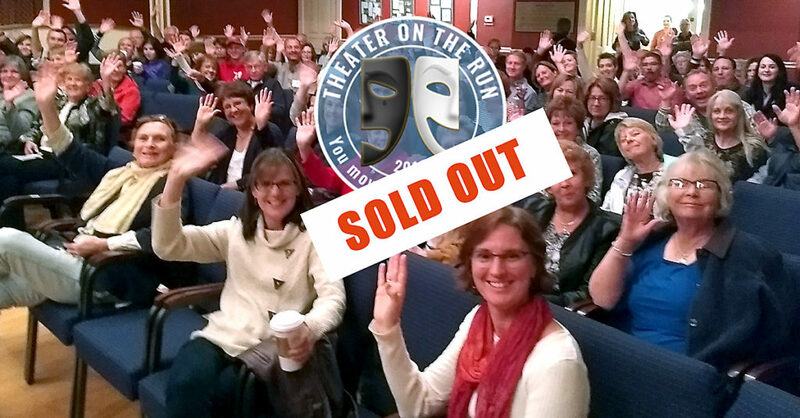 Theater on the Run has sold out every year since 2012,” says Sian Young, The Matthews’ executive director. “We have a limited amount of tickets, so make sure to get them early. This unique event is one you won’t want to miss.” Tickets are only sold in The Matthews art gallery or online and must be purchased in advance. The participating venues will NOT be selling tickets. Only 104 tickets per evening! We have only 104 tickets each for Sept. 8 and 15, for a total of 208 tickets. All tickets are $35.00. The ticket includes all five one-act plays and appetizers that are provided by all of the participating downtown venues. The following one-act plays are to be performed this year. Each has their own director. At a later date, each play will be assigned to a participating venue. Tickets go on sale in the art gallery and online at 10 a.m., Tuesday, Aug. 14. Buy tickets at The Matthews’ art gallery or by phone during business hours. Business hours are Tuesday-Saturday, 10:00 a.m. to 5:00 p.m. and the phone is 605-642-7973. Save time & energy. Go online to buy your tickets at any time. You can even buy them while you’re in your robe. Each ticket has the name of your START location. That is the location you will start with on the evening you choose. So, look at your ticket and note the date and location you are to check-in with at 6:00 p.m. Everyone in your group will be guided by a Matthews’ docent to the next location for the next play. The cast and play titles to be published at a later date. KEVN Black Hills, South Dakota Arts Council, Great Western Bank, Killian’s Tavern, Black Hills Pioneer, City of Spearfish, DeSmet and Biggs, LLP, Forcoli & Sons Painting, Wolff’s Plumbing & Heating, Inc., Lucky’s 13 Pub, Spearfish Holiday Inn, The Apple Blossom B&B, Spearfish Motors, The Real Estate Center of Spearfish, Zonta Club of Spearfish, Optimist Club of Spearfish, The Matthews’ family, The Kelley family — CLICK HERE to visit these sponsors’ business websites. This entry was posted	on Wednesday, February 28th, 2018 at 2:10 pm	and is filed under News & Blog, Past Community Theater Shows. You can follow any responses to this entry through the RSS 2.0 feed. Both comments and pings are currently closed.